Phoenix Premiere Luxury Builder Decades of Experience You Can Trust! 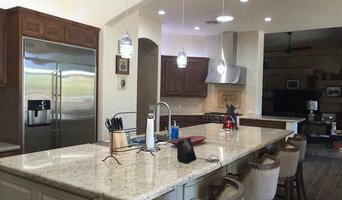 We are a #1 Trusted, five star rated, Licensed, Bonded & Insured Scottsdale, Arizona based company, that provides expert interior design, home improvement and remodeling services to include full design & built kitchens, bathrooms, entire home redesign, home additions and new build custom homes. Our Team has 160+ years of combined experience. We are dedicated to our local community, and always do our best to serve our customers. Proven success is the driving force of the joined efforts of Fisher Custom Homes and AKA Architecture. Our clients work directly with the principals who offer their decades of experience and knowledge. Combining architect and homebuilder into one package allows clients to deal with the same individuals throughout the entire process. This streamlines communication, taking the information from the homeowner and transforming those words and ideas into reality. We interpret your design dreams and incorporate them into beautiful yet efficient floor plans, with the utilization of our professionally licensed design team and professional building staff. Our team’s construction and design experience spans over 100 years with work across the United States: from Hawaii to the Rocky Mountains to Arizona. We are members of the National Association of Home Builders, Better Business Bureau and American Institute of Architects. We are a preferred homebuilder in Silverleaf, Estancia, Desert Mountain, Talking Rock, Desert Highlands, Troon, and DC Ranch, to name a few. We are a certified green homebuilder in Scottsdale and Paradise Valley. At Regency Custom Homes, we sincerely believe our team is comprised of the finest craftsmen in Arizona. We pride ourselves on being in the top 10 of Ranking Arizona Custom Home builders for over 15 years in a row. As a custom home builder we are committed to delivering the highest quality custom designed homes on time, and on budget. Our unique approach to the entire process of designing and building your luxury estate is not only streamlined, but also enjoyable! When you entrust your dreams to Regency, you receive our full commitment and personal attention during every phase of the custom home design and building process. Alair Homes is committed to quality throughout every stage of the building process and in every detail of your new custom home or remodel. We guarantee superior work because we perform quality assurance checks at every stage of the building process. Before anything is covered up we critically examine our work to ensure that it lives up to our extraordinarily high standards. We are proud of our building standards as well as our renowned customer service. During our proprietary construction process every detail is accessible to Alair Homes clients online, 24 hours a day, to view project details, schedules, sub trade quotes, and pricing direct from the supplier, in order to give Alair Homes clients 100% control over every single item regardless how small. Scottsdale Award Winning Custom Home Builder Best of Houzz 2015-2018! Platinum Companies is celebrating more than 28 years as a premiere design-builder of luxury custom homes in the Phoenix & Scottsdale areas. We provide design-build services which allows us to partner with an architect that we feel suits your project, budget, and style. Our goal is to ensure our process helps you enjoy and celebrate your project. We focus on quality and value, but mostly we focus on happy homeowners! We have consistently refined our processes to provide the finest customer service, highest quality construction, and a truly fun and engaging experience for our customers. We use a unique project management approach to cater to your needs as a homeowner. Our team and approach will lead you through the design, pre-construction, and construction phases for all your project needs while acting as your advocate and assuring that your design and construction requirements are captured exactly as you had imagined. We have a great team and we consistently complete award-worthy projects. Our team is determined to provide you with the craftsmanship and quality that has continually astonished our customers since 1988. Our commitment to sustainability is an essential part of our company mission. We are committed to continuous education, research, and sustainable project planning working with LEED and Scottsdale Green Building to ensure the most sustainable structures are built while the most sustainable construction practices are implemented. Our commitment and support to Safety is an integral part of Platinum’s risk management. We engage with our staff, suppliers, and sub-contractors to ensure safe working practices so that we can eliminate all worksite incidents by thorough pre-planning and safety engagement commencing at project initiation. 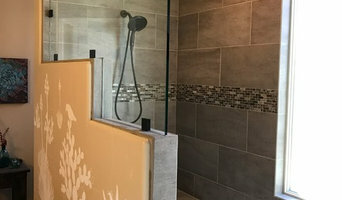 A 28 year old architecture & interior design firm specializing in new construction, remodels any size, tear downs, spec homes, kitchens, baths, outdoor patio, outdoor kitchens, water features, master planning, construction management, construction administration.We can help you create budgets, make selections, design any size project, small or large. We do interior design for those that need that service too. We pride ourselves on personal attention to our clients, and patient and professional direction and experience. We can help help you from site selection to the towels in the closet at the move in. let us design for you! Scottsdale Home Remodeler - BEST OF HOUZZ 2018! Scottsdale's Award-Winning Luxury Home Builder. Top 10 for 14 years! Urban Design Associates, Ltd. is an architectural firm in Scottsdale, Arizona, specializing in custom residential home design. Lee Hutchison, A.I.A. and Jessica Hutchison -Rough are partner architects leading their award winning staff to create amazing dream homes for their clients. The key to a successful designing relationship is being able to listen. We create a clear process and dialogue for defining your preferences. With a comprehensive understanding of building materials, lighting design methods, construction technologies, and your vision, we develop your plans as a team. We have a network of the finest interior designers, builders, and consultants to include in your project. We provide complete architectural services; please see our services page for a complete list. Our mission and passion is to provide our clients with exceptional design, quality service and accurate construction documents in a timely and efficient manner. The firm designs predominately in many of the high desert communities of north Scottsdale, such as Estancia, Boulders, Desert Mountain, Carefree, as well as Phoenix and Paradise Valley, Flagstaff and Sedona. ArchitecTor, Phoenix Home & Garden Master of the Southwest 2016, is a small architectural firm that specializes in high-end Commercial and Custom Homes for clients who demand and expect excellent design. Tor Stuart-Barstad graduated from Washington State University in 1986 with a Bachelor of Architecture and a Bachelor of Science of Architectural Studies. He then went on to study at the University of Oslo and the Architecture Association of London, focusing on green architecture and sustainability. Following an internship with John Pela & Associates, he became a licensed architect in 1994. Tor founded his own company—ArchitecTor—in 1997, and has since completed hundreds of custom homes as well as several condominiums, office complexes, fitness centers, and post offices. ArchitecTor has projects all over the world from Mexico to Norway and in a dozen US states including Arizona, Oregon, Washington, Texas, Florida, and Hawaii. We Design unique and beautiful architecture that celebrates luxurious living. Every project is a creative masterpiece designed to fulfill wishes and exceed dreams.